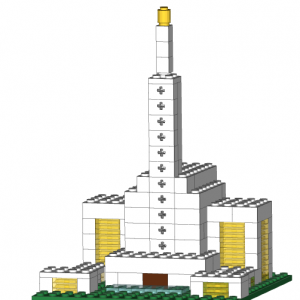 This LDS LEGO® Temple of the San Diego California temple contains 161 pieces and stands at about 6″ tall. 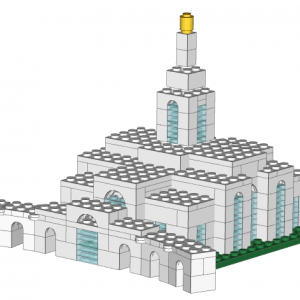 This instruction manual is the first in the LDS Temple Series from Temple Bricks. 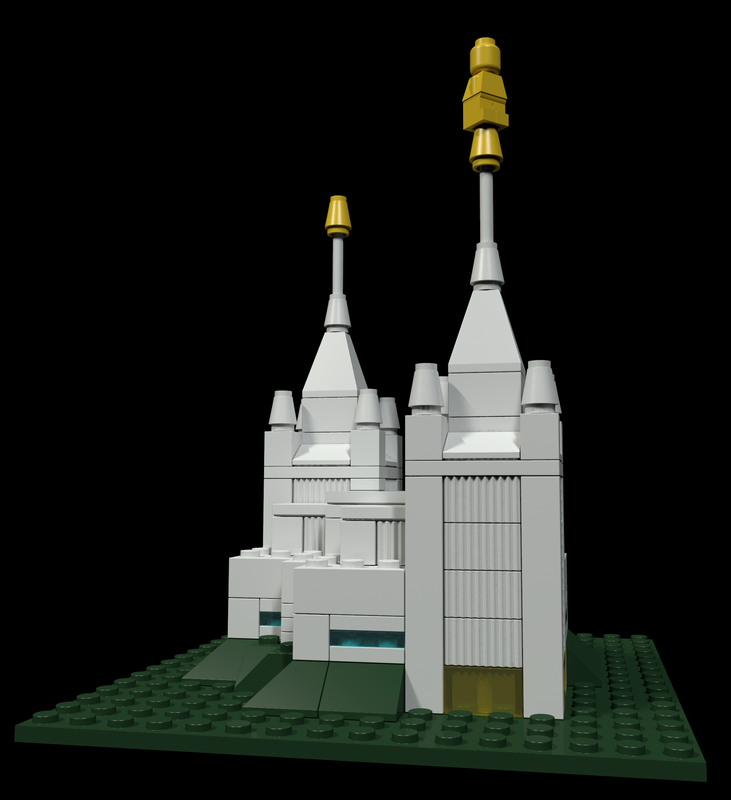 Designed after the San Diego California Temple, one of the most uniquely designed temples for The Church of Jesus Christ of Latter-day Saints, it captures many of the temple’s unique features including the twin spires, the eight smaller spires, the atrium, and elevated terrain. 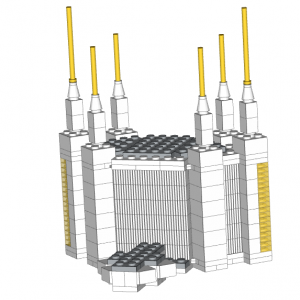 Children and adults alike will love assembling this beloved building over and over again. 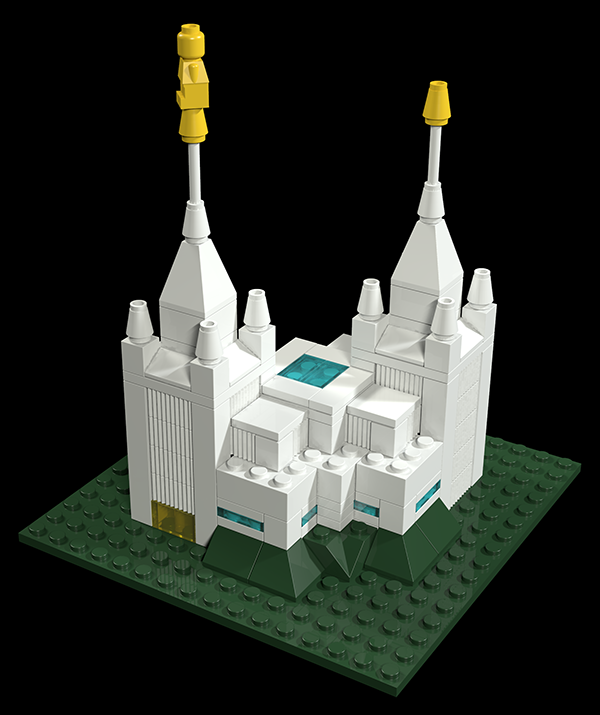 Using only 160 pieces over 25 steps, this model was meticulously planned and designed to be an easily recognizable representation of the San Diego California Temple while also providing the challenge and fun people look for in a building toy. The San Diego California Temple is the 47th constructed and 45th operating temple of The Church of Jesus Christ of Latter-day Saints (LDS Church). 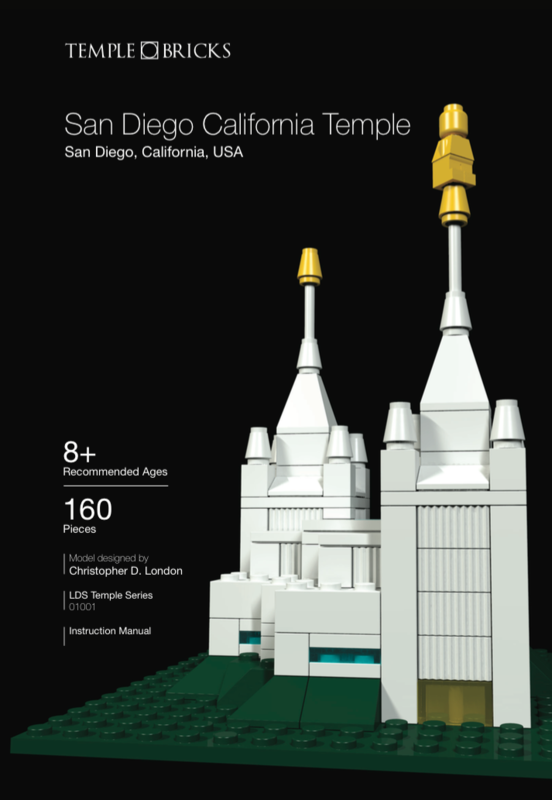 Located near the La Jolla community of San Diego, it was built with two main spires, but unique to this temple are four smaller spires at the base of each main spire. 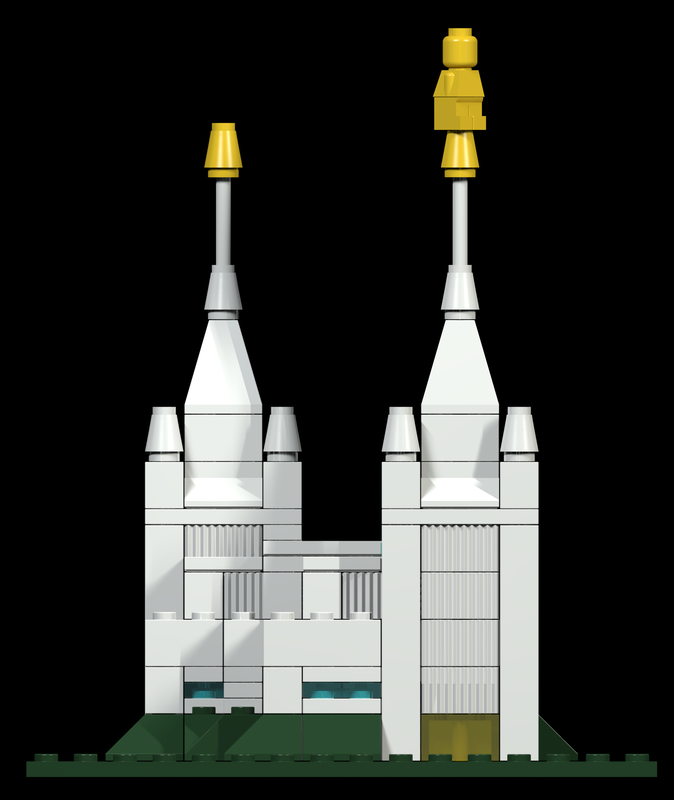 The East spire is topped with the familiar Angel Moroni statue which adorns most LDS temples. Each tower is 169 ft (52 m) tall. 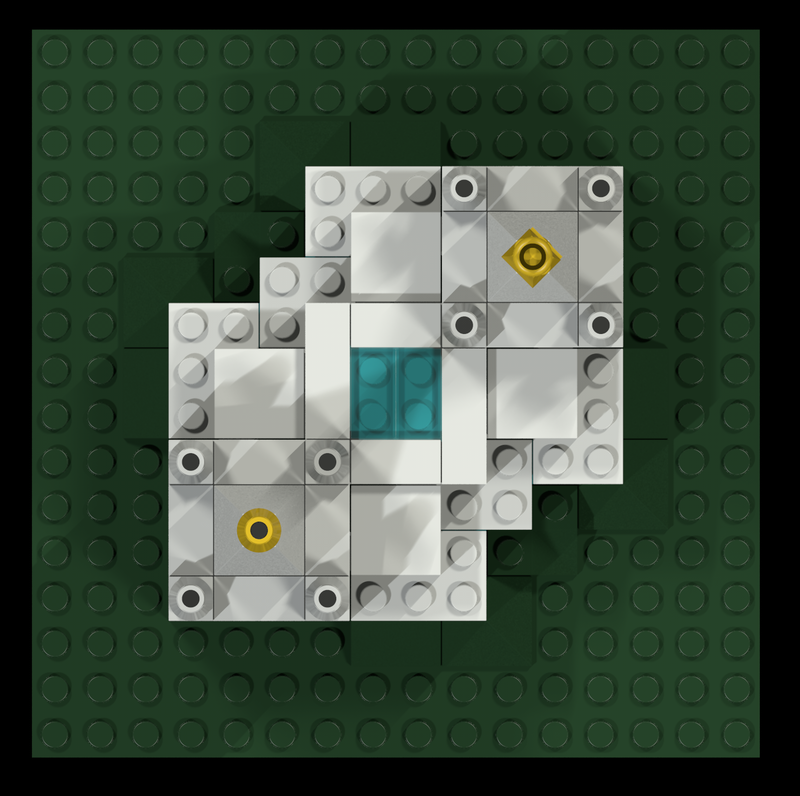 The exterior finish is marble chips in stucco giving the building a white glow. Just off Interstate 5, the temple is a major landmark when traveling the highway to or from San Diego. 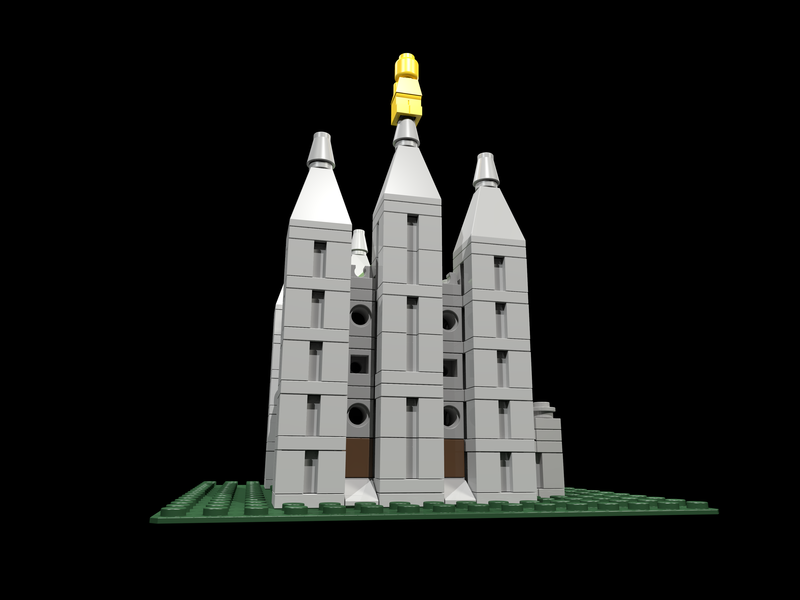 The temple is brightly illuminated making it even more noticeable at night. 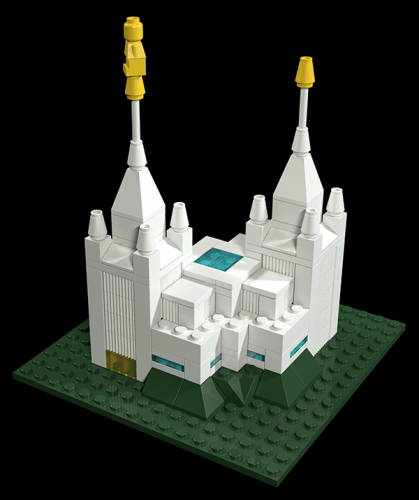 The San Diego Temple was announced on April 7, 1984, and dedicated on April 25-30, 1993 by Gordon B. Hinckley. The temple was built on a 7.2-acre (2.9 ha) plot, has 4 ordinance rooms and 8 sealing rooms, and has a total floor area of 72,000 square feet (6,700 m2).